My foodie curiosity got the best of me at the Mexican grocery store. That’s how I ended up with a can of green enchilada sauce and no idea how to make enchiladas. I created Version 1.0 of this Chicken Enchilada Soup recipe during our Eat From the Pantry Challenge in a delicious attempt to use that lonely can of green enchilada sauce. It was a win! Last Sunday, Good Day Columbus asked me to do a slow cooker cooking segment on their TV show. I wanted an easy dump it all in the crock pot type of recipe because I knew the anchors would ask me interview questions while I was trying to teach them how to make it. I also wanted a recipe that would work for a variety of budgets. Oh, and it had to taste good too. Watch the Lazy Budget Chef on Good Day Columbus this Sunday! I have exciting news! Not only is Sunday, November9th my birthday (happy birthday to me and all that) but I will be doing a Lazy Budget Chef cooking segment on Good Day Columbus on Fox 28 (WTTE)! 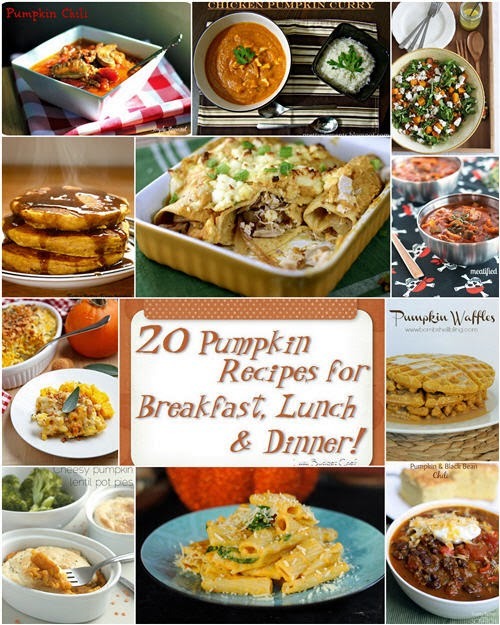 It's getting cold outside and if you don't want to leave the house, I will be making a slow cooker recipe you can prep in the morning and it will be ready by dinner time. My segment will run Sunday morning at 9:45 AM on Fox 28. If you live in Columbus be sure to tune in or set your DVRs to cheer me on and hopefully I won't make a giant fool out of myself. Or if I do, Good Day Columbus gets more entertaining 5 minutes of TV than they originally planned. If you don't live in Columbus, Ohio you can still watch me on the Good Day Columbus live stream here. Now for the biggest question of all, what recipe should I make? 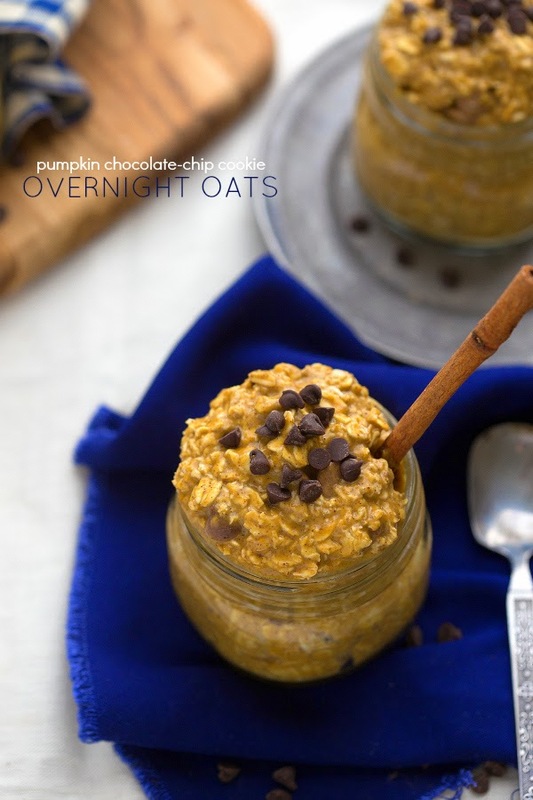 A new one or one of your Lazy Budget Chef favorites? I put together a list of the big and mostly small things I do to keep my budget in check. Unfortunately, when you write about budgeting and saving money as much as I do, I think people get the idea I’m impoverished or don’t like to spend any money at all. We save some to splurge later and splurge to remind us to save. That’s why I’m including a list of what we didn’t do to save money to give you a more balanced look at how we manage our tradeoffs. 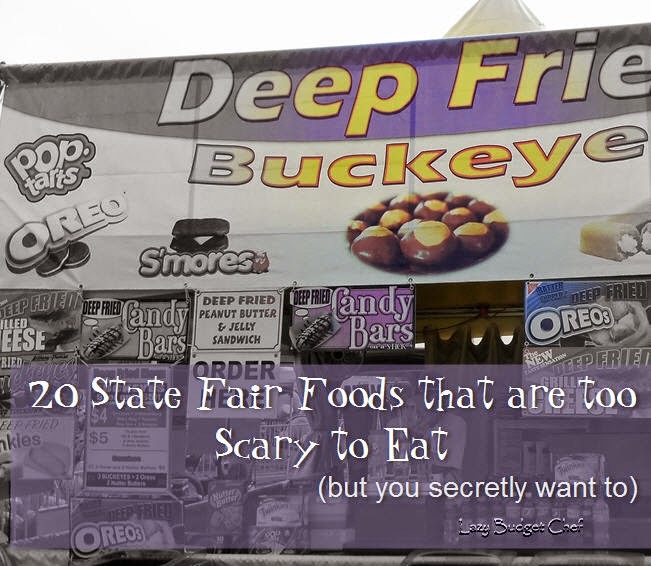 The Ohio State Fair opened and you know what that means – insane amounts of sugar coated double deep fried , cooked in a sheep's bladder, insane thing on a stick food! Wait a sec. Scratch the cooked in a sheep’s bladder part. That’s haggis at the Celtic Festival. 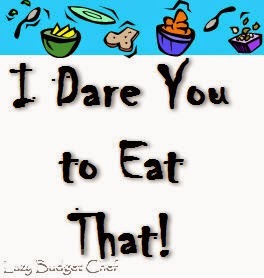 This mild mannered reporter disguised at Clark Kent your average Ohio State Fair visitor, braved the crowd and searched high and low for the wackiest state fair food I could find for this edition of our family’s favorite game: I Dare You To Eat That! During this time of the year it seems not a cookout, barbecue, or day that ends with a y doesn’t have sweet corn on the cob in some way shape or form. I think some of our local road side farmer stands sell the best sweet corn around but I’m not against buying it at my farm market either. Boiling sweet corn on the cob is easy. Bring a pot of water to a rolling boil, drop the corn cobs into it, and let them cook for 5 to 10 minutes. Easy. Except for taking the husk off the corn and removing the strings. No matter how well Husband or I think we removed all the corn strings, someone usually ends up with an extra portion of corn strings with their clean corn on the cob. Our bad. Until Husband experimented with not only the quickest and easiest way to remove all the husk and strings from fresh corn on the cob. 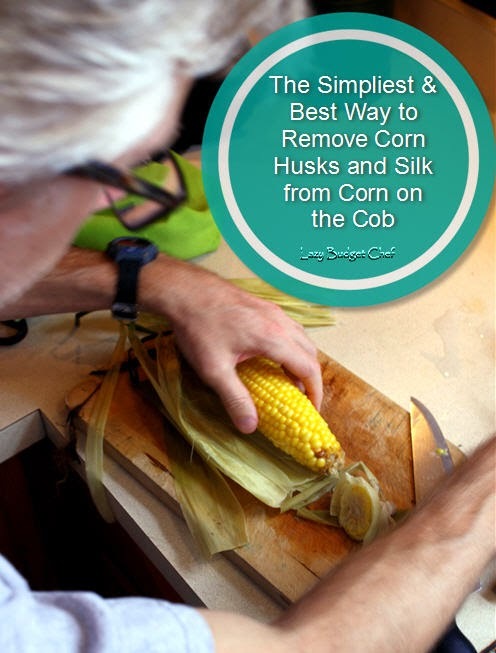 Let’s husk corn the lazy way! When Lacey joined our family over a year ago her separation anxiety was so severe that she lost it when either of us went on a short business trip. With that and some of her other issues, Husband and I didn’t think it was a good idea to go on a vacation with her. Lacey behavior hasn’t earned the privilege of going on a vacation yet so we stayed home. Husband and I really needed a vacation this year. The signpost is in nautical miles! We’ve been working with Lacey on her issues and she is making progress. We decided to test the waters and board Lacey while we took a went to Kelley’s Island and Put-in-Bay. We get a break, I finally get to visit the islands I grew up near but never visited, and we are close enough to home that if Lacey has issues, we can come home early. Fortunately, we didn't. Lacey did well while we were gone. As soon as I smelled the lake air and the island ferry launched, I didn't realize exactly how much I miss boating and being on the water. Seeing some of the tourist puns during our first quick jaunt around downtown Put-in-Bay reminded me of my childhood lake life. I knew I was HOME. TJ’s Smokehouse is kind enough to offer husband day care services for guys who don’t want to go poking around the many shops downtown. This wasn't an issue with us. When Husband went running, I window shopped for something to do. We took a day trip to hit the highlights on Kelley’s Island. Check out my DIY blog Condo Blues for more Put-in-Bay and Kelley's Island fun! Kelley’s is a little larger island than Put-in-Bay. It only made sense to fuel our day of pedal powered tourism with lunch at Kelley’s Island Brewery. We had a great chat with Doug the brewer about his beers and how he makes them as we sampled Kelley's Island Brewery Summer Haze. My family likes to eat grilled food. It is quick. 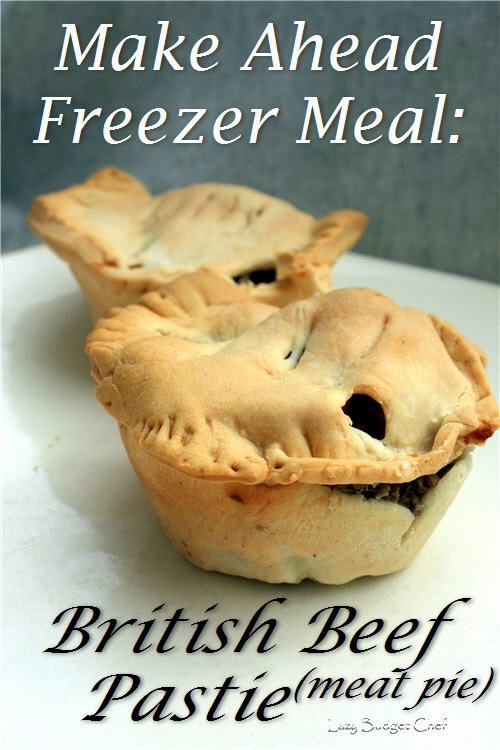 It is easy and it doesn't heat up the kitchen during the summer. I am ready to put food on the grill as soon as the snow melts in the spring. My husband? Not so much. He isn't a fan of doing the grilling himself, which is fine since I like to cook that way. But it becomes a problem when my husband does cook on the grill, he doesn't clean it. I don't grill as often as I'd like because cleaning the grill is such a pain, especially the dried bits of stuck on food my husband leaves on the grill. Have you ever tried washing a grill in your kitchen sink because the grill brush doesn't get all of the charred bits off of it? It doesn't work very well at. all.